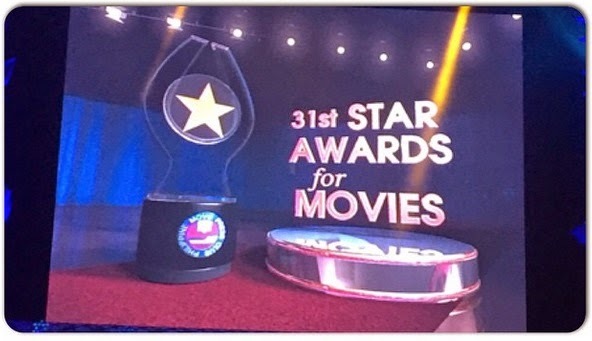 MANILA, Philippines - The Philippine Movie Press Club (PMPC) organizers announce the full list of winners and awardees for the 31st Star Awards for Movies held on Sunday, March 8, 2015 at Solaire Casino and Resort in Parañaque City. As expected, "Bonifacio: Ang Unang Pangulo" emerged as this year's most awarded film as it swept some of the major awards which include movie director, movie of the year and technical awards such as editing, production design, musical score, original theme song and sound engineer. The Nora Aunor Lifetime Achievement Award was given to Celia Rodriguez. The 'Ulirang Alagad ng Pelikula sa Likod ng Kamera Lifetime Achievement Award' was received by Director Maryo J. delos Reyes. 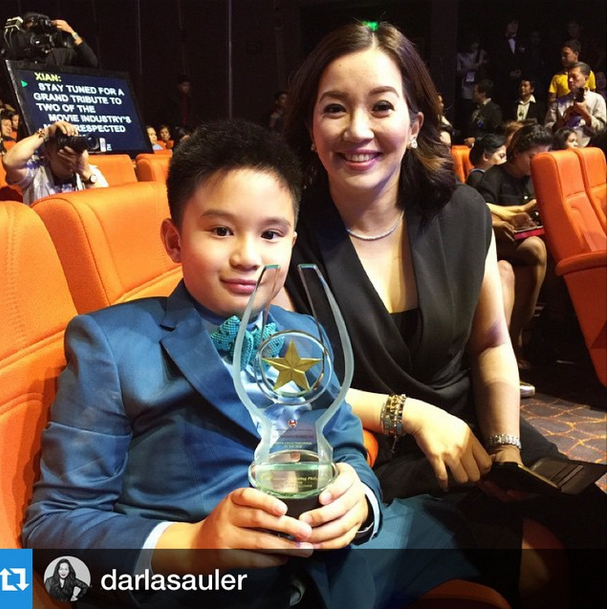 Bimby Yap was named Star Awards' Best Child Performer of the Year for his role in the Metro Manila Film Festival topgrosser comedy film "The Amazing Praybeyt Benjamin.". The star-studded ceremony was opened with the performances of International Singing Sensation Charice, Pilipinas Got Talent Season 3 Finalist Lucky Robles, Karaoke World Champions Lilibeth Garcia and JV Decena, and X Factor Philipines and Macau International Jazz and Blues Festival Finalist Mark Mabasa. Kim Chui, Iza Calsado, Xian Lim and Pops Fernandez hosted this year's PMPC Awards night. 'The Voice PH' co-host Robi Domingo served as segment host. The 31st Star Awards for Movies is a blocktime production of Airtime Marketing, Inc., headed by producer Tess Celestino-Howard, in cooperation with the Philippine Movie Press Club (PMPC) under the leadership of Mr. Joe Barrameda, current President and Over-All Chairman. The PMPC Star Awards honors the best Filipino movies of 2014 for the mainstream and indie film categories. Telecast of the awards night is on Sunday, March 22, 2015 on ABS-CBN's Sunday's Best.